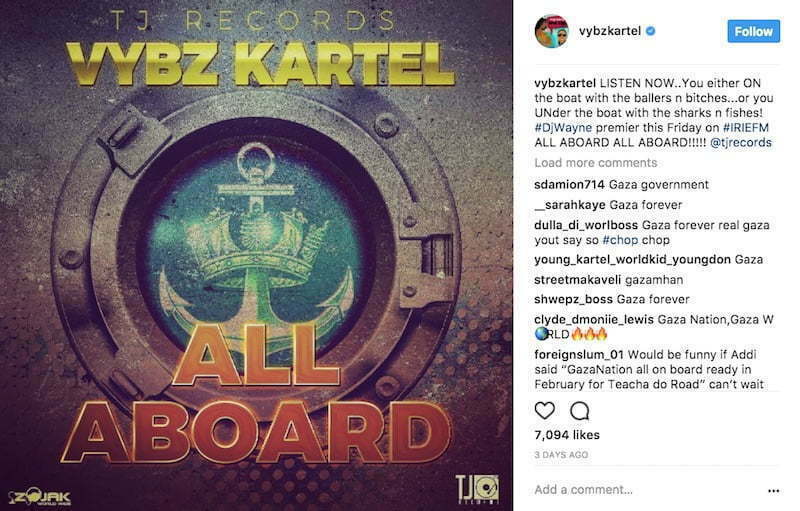 Vybz Kartel is far from being done dropping new music. The aced dancehall star will be dropping a new song “All Aboard” this Friday. The incarcerated deejay also announced the new single “All Aboard” on his Instagram page. The track was produced by TJ Records, who is also the producer behind his new project. The track will be premiered by DJ Wayne on Irie FM on Friday afternoon. 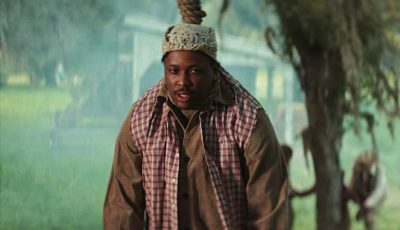 “LISTEN NOW.. You either ON the boat with the ballers n b**ches… or you UNder the boat with the sharks n fishes! #Dj Wayne premier this Friday on #IRIEFM ALL ABOARD ALL ABOARD,” Vybz Kartel wrote. 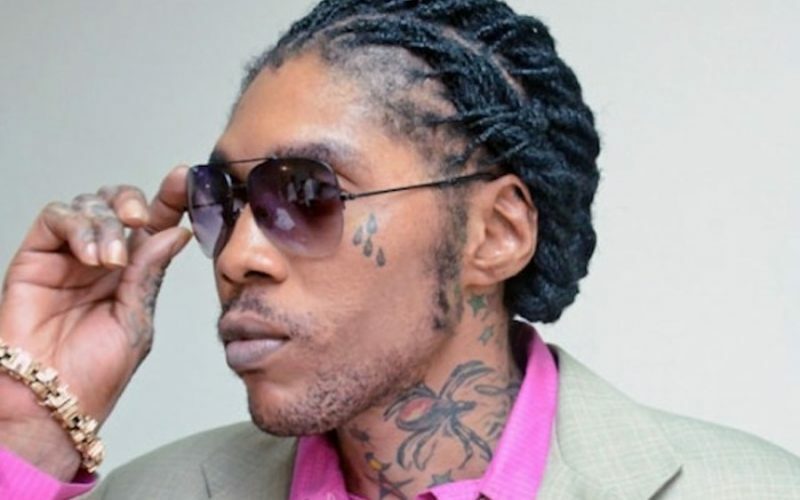 Kartel currently has two of the hottest songs in dancehall, with “Mhm Hm” and “Don’t Come Back” racking up the views on YouTube. The song “Mhm Hm” has already amassed three million views in three weeks, clocking around a million a week.